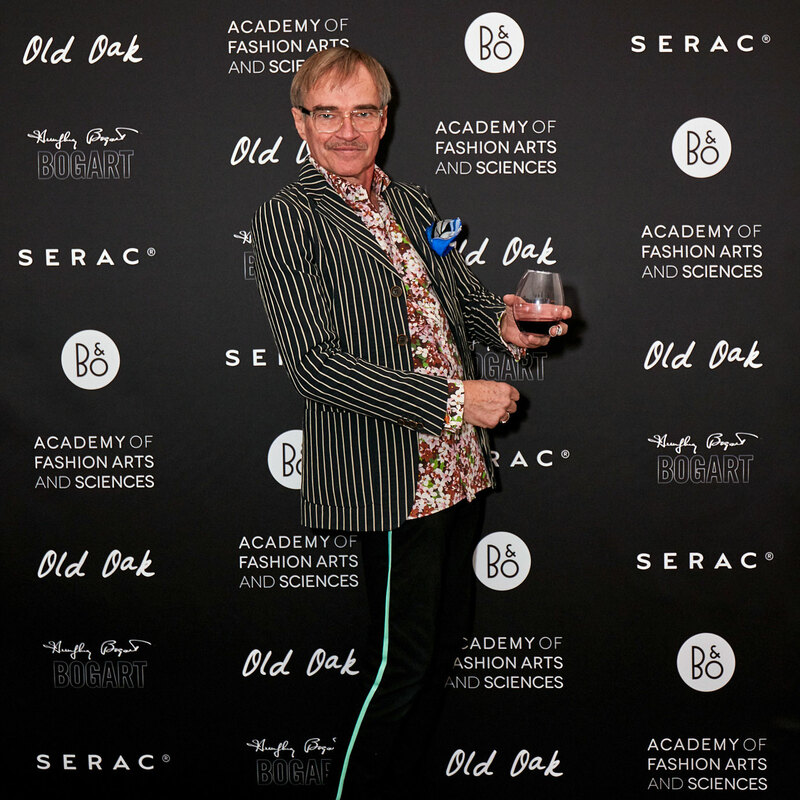 At the Academy, we recognize the enormous damage the multi-trillion dollar fashion industry is doing to the environment and thus all life on earth. The solution to the devastation caused by fast fashion is clothing people keep for decades rather than weeks or months. A major paradigm shift lies ahead as clothing takes the same path as music, where music formerly was permanently engraved in a piece of plastic while an infinite number of songs now is streamed to a digital device. Clothes may likely soon be made from durable, continuously updatable and shapeshiftable digital fiber. Fashion in the near future a continuous stream of artistic expression that, informed by ethics and enabled by cutting edge tech, will be the end of the static and also the end of waste. Along with a strong following of inspired individuals as well as brands, institutions, municipalities and nations aligned with our vision, we are in a position to speed up the transition to an ethical and sustainable fashion industry through the adoption of groundbreaking technology. Our story begins in Paris when the world's first fashion site, FASHION NET, launches in 1995. The first time a fashion magazine wrote about the Internet was when Harper's Bazaar wrote about us. We were the first online publisher to cover the runway shows in Paris. Vogue.com, style.com and elle.com all got their initial traffic from us. We invented the native ad in 2001 and helped shape the Internet as we know it today. 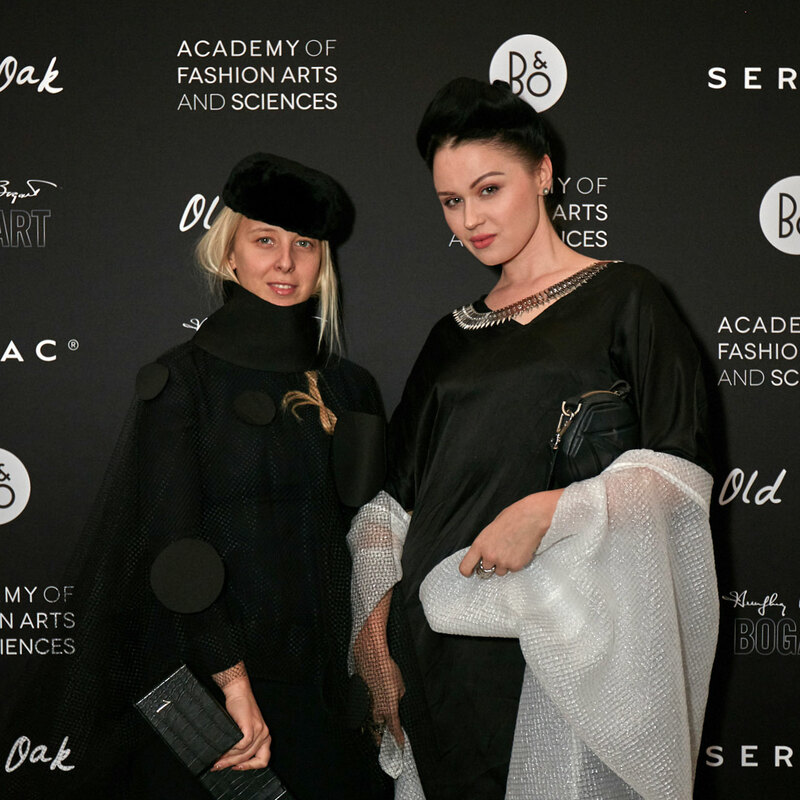 As we commemorated our 20th anniversary in 2015, we launched the global FASHION NET Awards — now the Academy of Fashion Awards. After two seasons, 184 nominees and 10 special awards, the 56 winners of the first and second seasons include Tom Ford, Kendall Jenner, Saint Laurent, Johnny Depp, Love Magazine, Vivienne Westwood, Kate Moss, Alessandro Michele, Thom Browne, David Sims, J.W. Anderson, Chiara Ferragni, Gucci, Alexander Fury, Vetements and KTZ. Fur is banned at our events and all catering is 100% vegan. 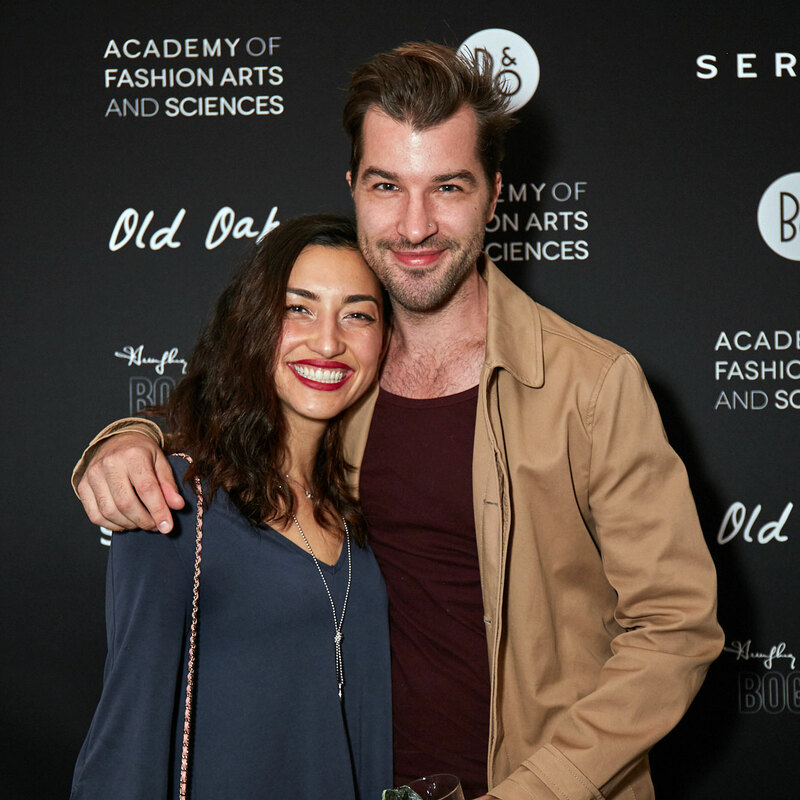 Thank you from the entire staff at the Academy of Fashion Arts and Sciences for your ongoing support as we together create an amazing future that, importantly, also will be there for of us. 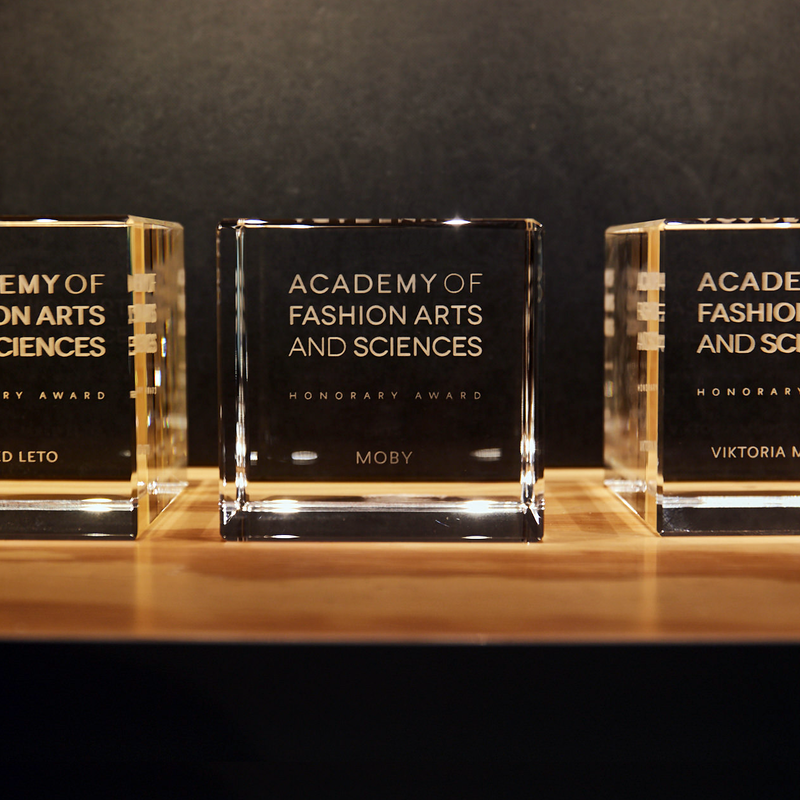 Supporters of the Academy are officially recognized and receive a personalized, solid crystal cube similar in look to our Honorary Awards. Because of the expense of your personalized trophy, it is shipped after one year of support at this tier. At this tier, your personalized trophy will ship after one month of support.